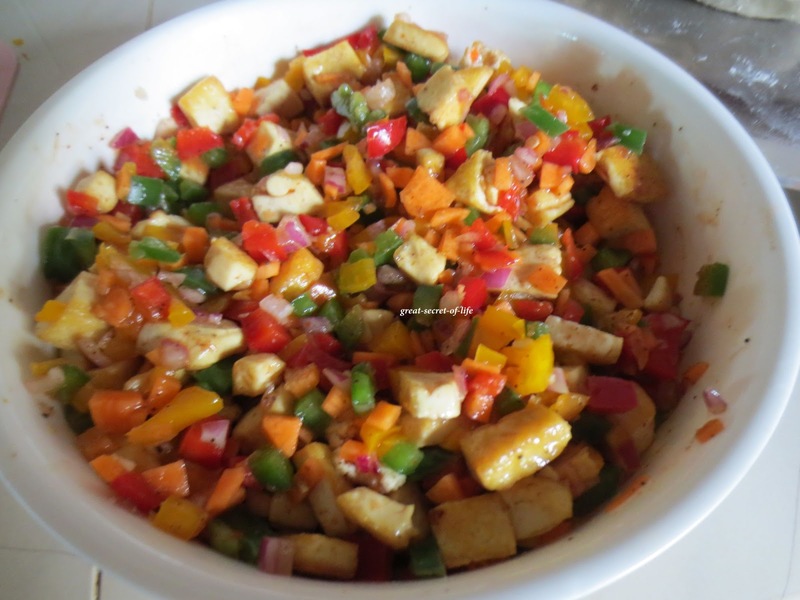 Yummy and healthy salad..loved the combo. 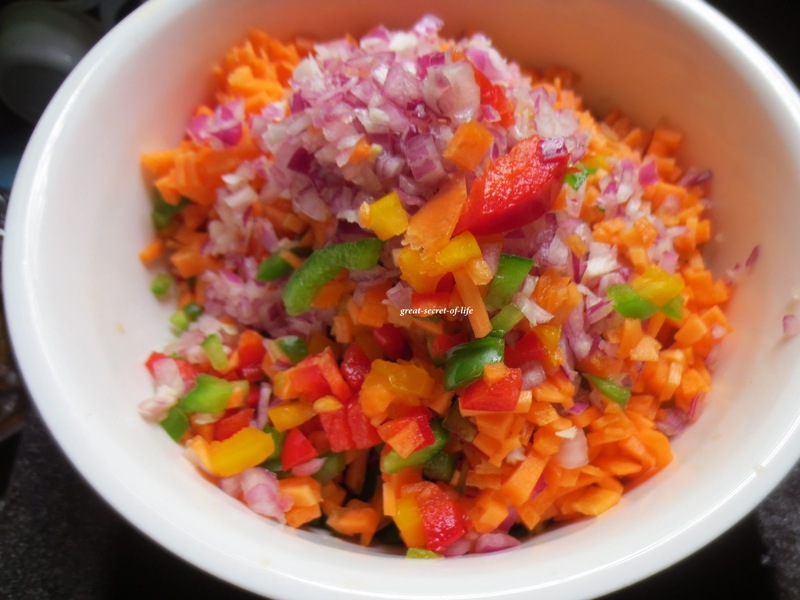 lovely combo for the salad. 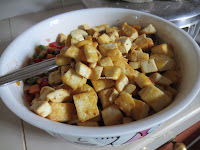 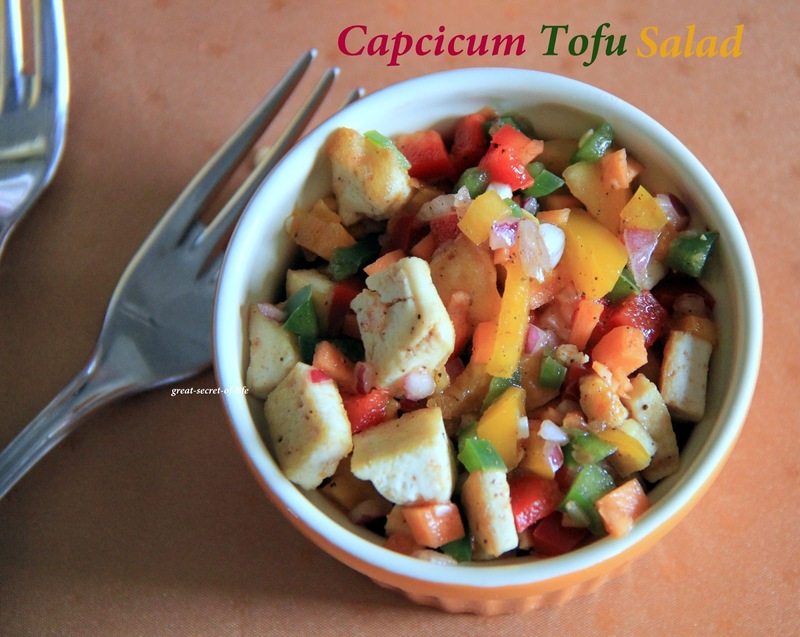 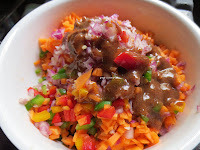 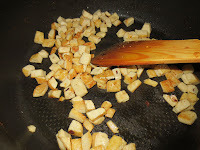 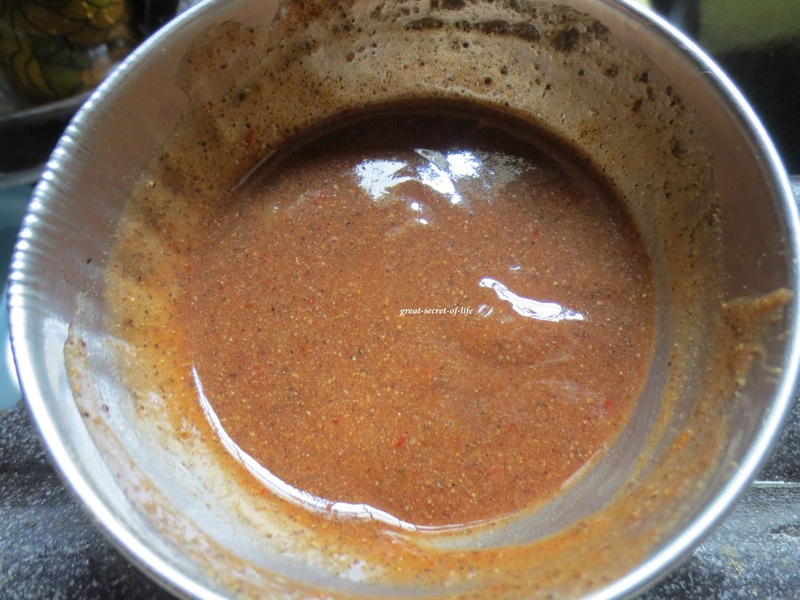 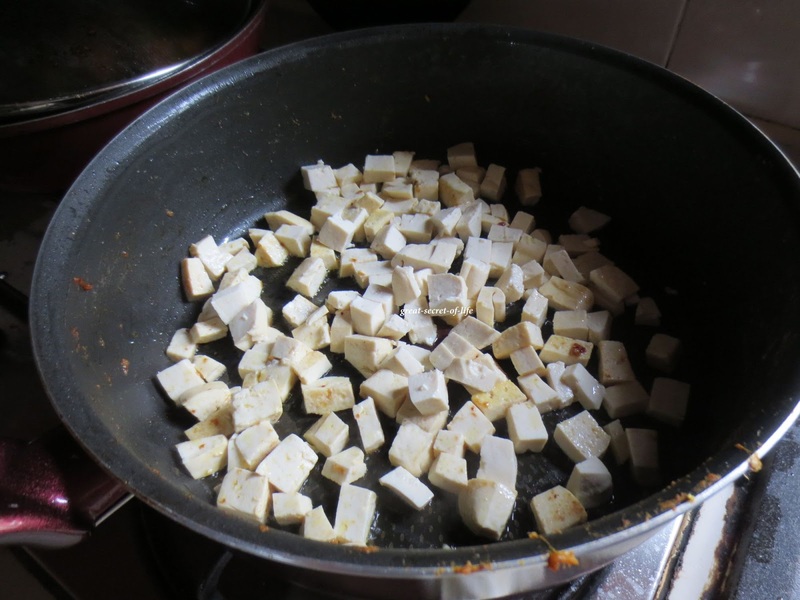 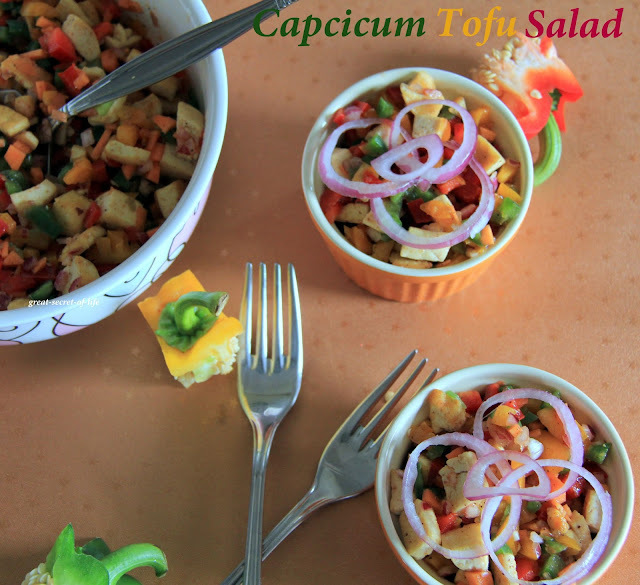 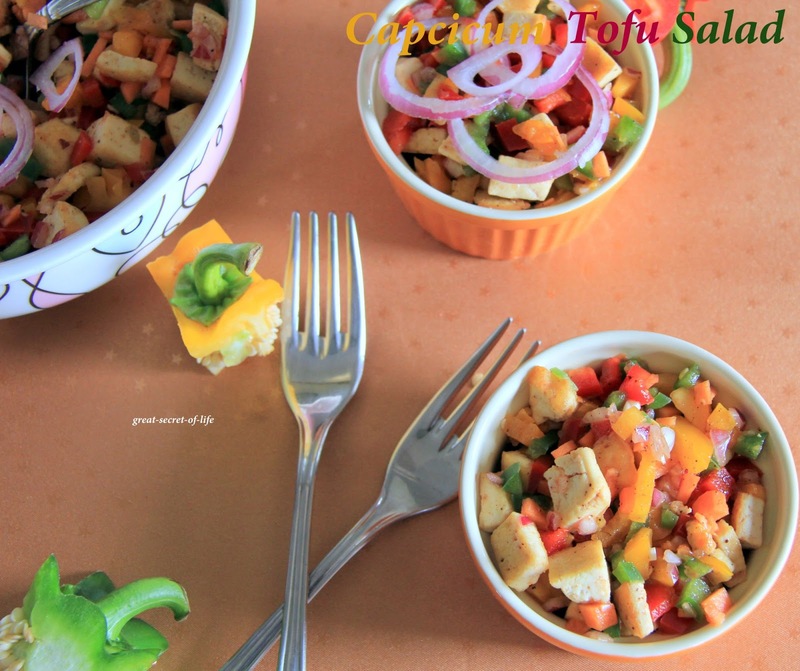 Tofu and the colourful salad, a healthy recipe. i have an award waiting for u at my space :) Nice colorful salad.